The mission of the Ada County Weed Control Department is to manage and control noxious weeds countywide. Pursuant to Idaho Code Title 22, Chapter 24, our strategic priorities are to provide public safety, security, and health service and to provide excellent public services and public education and outreach. Ada County Weed Control works in accordance with state and federal regulations to eliminate or control noxious weeds found within the county. Report noxious weeds found in Ada County. Compliance officers will investigate all complaints and follow-up with the landowner and party who filed the complaint as needed. Did you know? 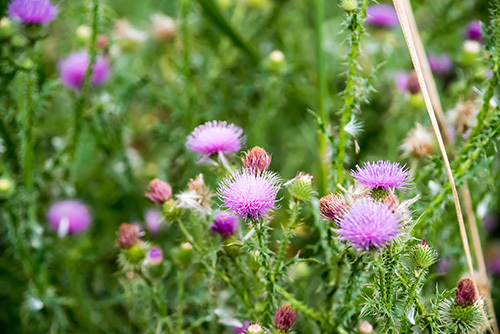 Canada Thistle actually came to North America by way of Europe, and is also known as "creeping thistle" due to its fast-growing horizontal root systems and its ability to spread quickly. It is a serious noxious weed in the western United States.